Scarecrow Video is an institution, and our 2-for-1 Wednesdays are even more of an institution. To help you navigate the collection is Double Up, a series dedicated to making great (or at least interesting) double features. “There’s no magic.” So says the titular character of George Romero’s is-he-or-isn’t-he vampire film Martin. And it’s true that if Martin actually is what his elderly cousin Tateh Cuda refers to as a Nosferatu, his tools are no different from those of a serial killer: lockpicks, the syringe, the razor blade. There is no doubt that he preys upon people, drinking blood directly from the source. But does that make him a vampire? George Romero had effectively created the modern zombie genre ten years earlier with Night of the Living Dead. Within a year of the release of Martin, he would unleash his masterpiece Dawn of the Dead. It’s no wonder that Martin feels slightly ignored in his filmography: it doesn’t aim to redefine the vampire legend so much as unravel it. John Amplas makes his debut as the main character, alleging to be an 84-year-old while appearing more like a sullen teenager. It’s an entrancing performance, as Martin wanders the sunlit streets of a small town outside of Pittsburgh, and you can’t quite tell if his gawky discomfort comes from the pains of adolescence or his disconnect from humanity. Romero frequently cross-cuts to black & white flashbacks which seem to recount life in “the old country”—genuine memories or the visions of a lunatic? For another spin on the revisionist vampire film, check out director Claire Denis’s Trouble Every Day. 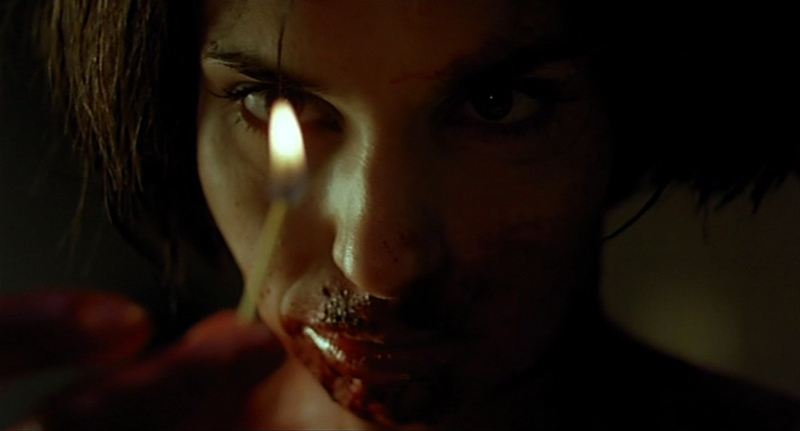 Released in 2001, it has been claimed as a key early example of the New French Extremity movement (e.g. High Tension, Martyrs, Raw). Trouble Every Day is unexpectedly gory for what is, at its core, an art film. Excepting one main scene of exposition, it communicates more through its impeccable cinematography and sharp (if elliptically arthouse-style) editing; the narrative is not particularly important to Denis. It tells the story of two couples, one played by Vincent Gallo and Tricia Vessey, the other by Béatrice Dalle and Alex Descas. Dalle and Gallo each seem to suffer from a similar malady, an overwhelming bloodlust. 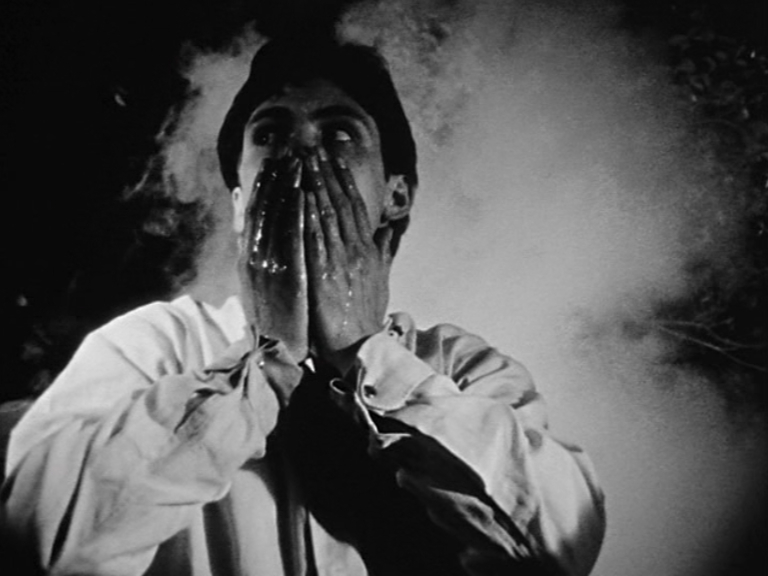 The central metaphor of hunger for blood as sexual desire is the movie’s strongest link to the vampire myth. Denis, however, focuses more on how this affects their relationships. Dalle’s character, Coré, has given herself over to it completely, breaking out of the locked room where her husband keeps her in order to indulge herself. When she inevitably does, he comes along to clean up after her in an effort to maintain normalcy. Gallo’s newlywed Shane opts for denial, turning his hunger into an unspeakable fetish, walling him off from his bride. Trouble Every Day is a sustained mood piece, deeply sensuous and saturated in dread. Considered a failure upon release, it may have proved too gruesome for the director’s regular fans and afforded little chance to cross over to wider audiences, receiving limited distribution until its American DVD release in 2014. While it lacks the knife-edge suspense of a standard horror film, it carries a profound sense of doom that is undeniable. It does for bloodlust what In The Mood For Love does for romantic longing. Jeff Williams is a longtime Scarecrow patron and volunteer. ← New Releases for October 30!